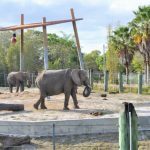 This is a sponsored post written by me on behalf of Busch Gardens. All opinions are my own. 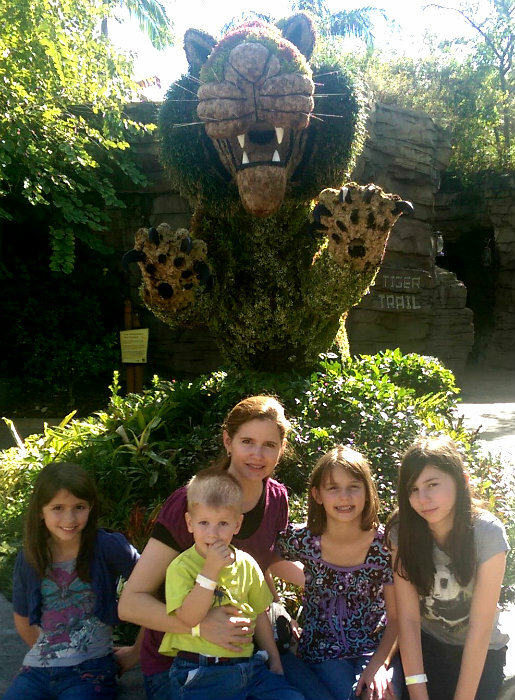 We had so much fun at Busch Gardens Tampa over our recent trip to Florida. We spent two days at the park and would have loved more time there. 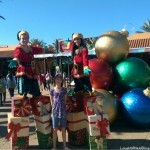 We also went to Busch Gardens two years ago on our Florida family vacation and we all want to go back next time. 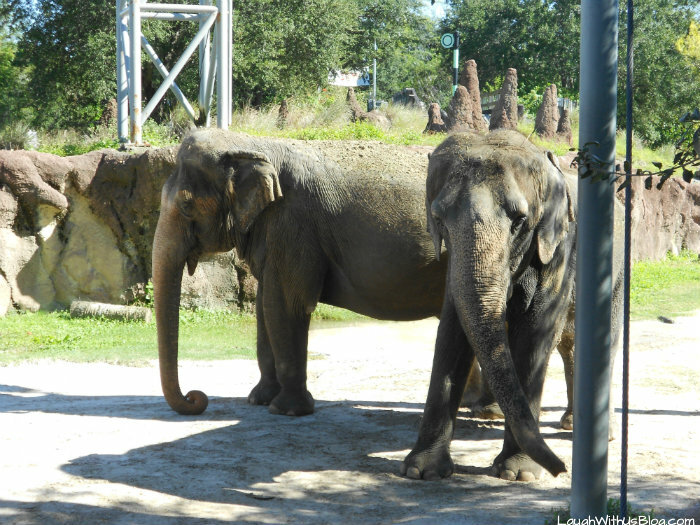 We love so much about Busch Gardens, but I’m just going to give you my top three. #1. 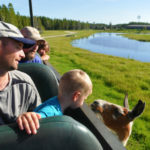 Animal Encounters— There are so many opportunities not just to see the animals, but to interact with them as well. 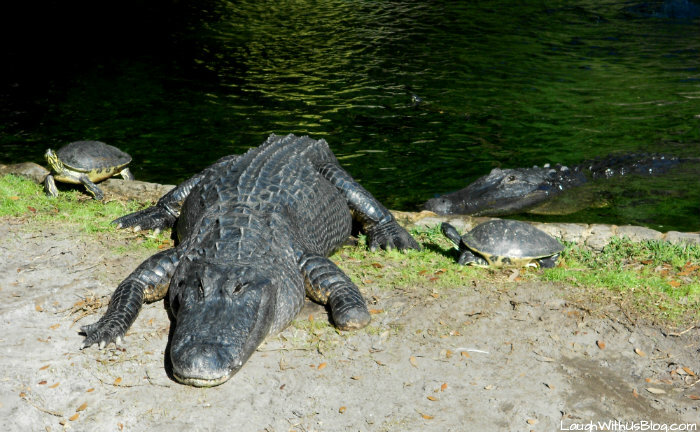 We came upon the alligators just when a Busch Gardens animal care taker stepped in there with them! It was fascinating to hear all about the alligators from how and what they eat to how they respond to people and other animals like the turtles. The elephants sure put on a show for us throwing dirt up on their backs and then taking the dirt from the other elephant and spraying it back on their own backs. Cracked us up! For an extra fee you can have close animal encounter tours. 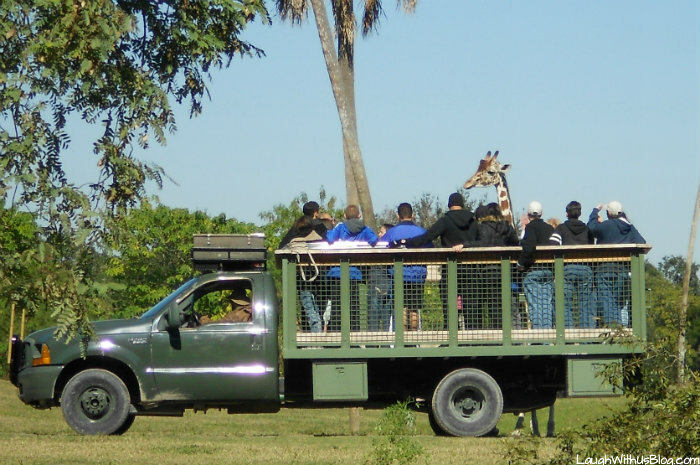 This Serengeti Safari looked like a blast. We would have loved to have done this! Maybe next time! I had never seen a hippo swimming close up before. This guy kept swimming and coming right up to Joy. He did it four or five times while we were there. It was so cool! 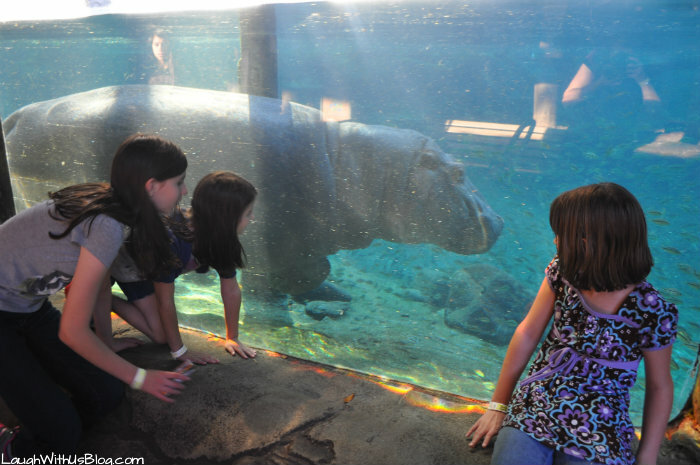 These were just a few of our favorite animal encounters, but there are so many animals to see. 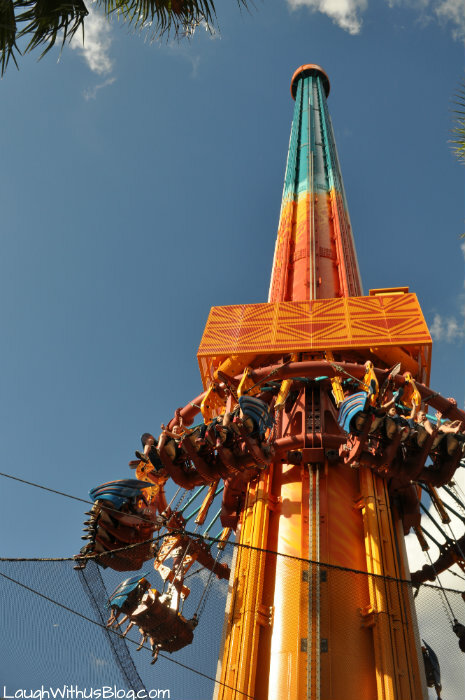 #2 Thrill Rides— Well, especially the roller coasters are awesome at Busch Gardens. With as many photos as I took, I was surprised to find I didn’t have photos of the roller coasters. I guess riding them was too much fun! Seriously, a few of us had become somewhat shy of roller coasters in the last couple of years. 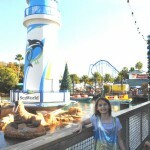 Busch Gardens has such a variety from small, to medium, to high thrill. We were able to progress through the different stages and by the end of our time everyone that was tall enough to ride the high thrill coasters were loving it…and a couple were crying because they weren’t tall enough! Bobby LOVED the plane ride. 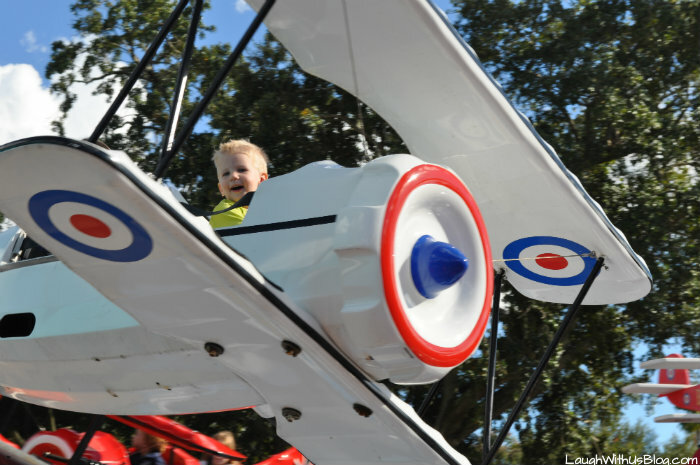 “I flying, Mommy!” He must have ridden it six times at least! 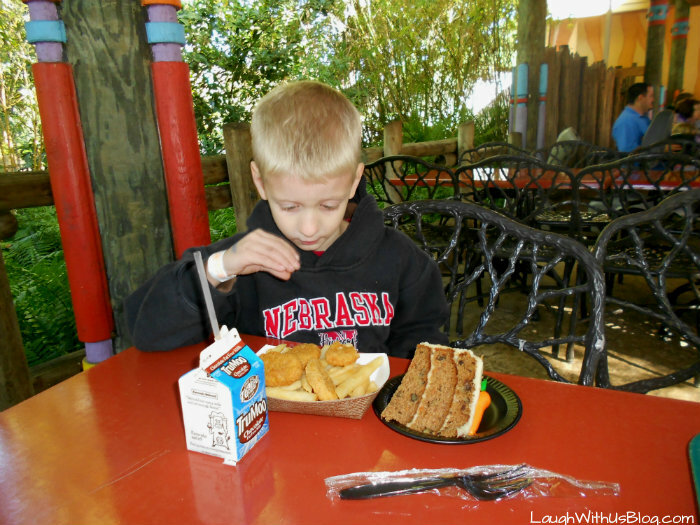 #3 The food— We absolutely love the food at Busch Garden. 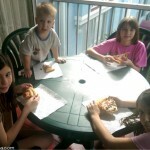 Two years ago we bought meal passes for our family and we HAD to do it again. The All-Day Dining Deal passes are $29.99 for adults and $15.99 for children right now if you purchase them online. These work very much like the Sea World Tampa All-Day Dining Deal passes. With the pass each person may take an entree, side, and drink every time they go through the line, all day at participating restaurants. Also with the passes other select snacks and beverages throughout the park were buy one get one. We took advantage of that with the Dippin Dots! YUM! 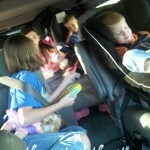 With a family of seven we tend to share a lot and only drink water when we go out to eat to cut costs. All you can eat drinks, entrees, and desserts were a huge hit! Keep informed on all of the latest news and promotions by following Busch Gardens’ Blog, or “Like” the Busch Gardens Facebook page, and follow @buschgardens on Twitter and Instagram.